The Lionel 2019 catalog features a set of 30k gallon tank cars with a BNSF ES44AC. The catalog says the freight cars are easily converted to scale couplers. My question is, would the couplers be body mounted or somehow attached by screws to the trucks? If they are body mounted I'd love to buy 3 of these. 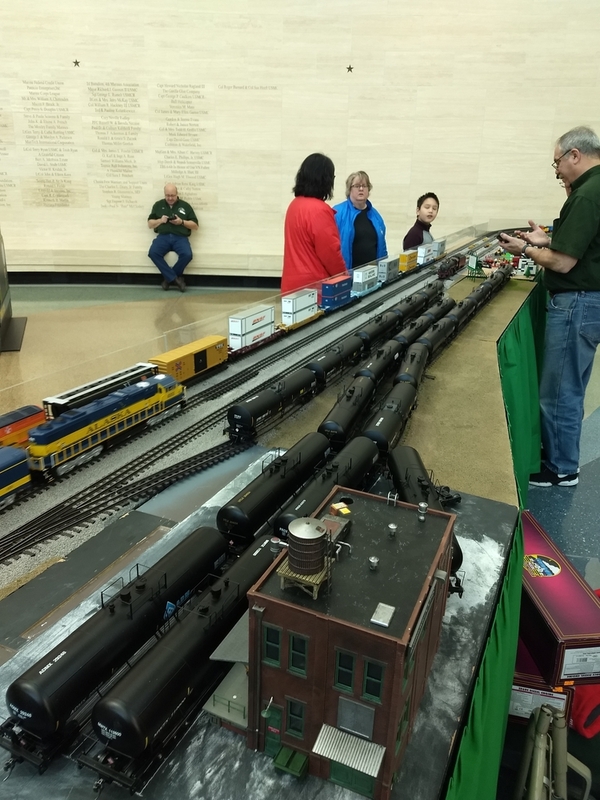 They look just as good as the HO scale Athearn 30k gallon tank cars. Kadees are body mount. The lobster claws are mounted to the truck. Okay I have solved this mystery. Upon further investigation from store websites that sell these 30k gallon tank cars, I have seen where there are holes at the end of the cars for Kadee coupler installation. Also Lionel provides shims with screws for body mounted coupler installation. I wish Lionel would have included pictures of this in their catalog so I wouldn't have to post questions on these forums. The "new" cars (after the 2016V2 catalog) are easy to convert. The earlier cars are a bit of a pain in the neck. I had to make a bunch of 3D print parts to convert them, but just getting them apart can be irritating. The new cars, you should have no issues... it takes longer to get the spring in the kadee than to take the car apart. I model in 2 rail O scale so having the ability to put Kadees on these cars is extremely important. I'm currently working on the 57' mech reefer and am pulling my hair out. Converting the trucks to scale 2 rail is easy especially with the help of Dremel tools. I had to make shims that I'm still making adjustments to and I had to drill holes in the floor near the ends of the car so I can install the styrene shims that will allow me to mount Kadees on the car. This whole process has aged me 3 years. No way in the world would I do all of that with the tank cars. Since I'm lazy by nature, I'll NEVER do this conversion on the 57' mech reefers ever again. About half of these cars came with the Kadee pads and were convertible. The balance were done using 3D printed shims and a drill fixture. All of the cars pictured have Kadees. I even have one of the recent EOT cars with the EOT now mounted on a Kadee. I have no caboose so an EOT device on my end train car would be great. Bad news is, there are no 2 rail O EOT devices available. The F.R.E.D for O scale is a little oversized. I may be able to get an HO scale F.R.E.D but I worry that it would look too small. I also really like the modern freight cars on this layout. The new ETD's in the last year or so are considerably smaller, so you might could get away with using an HO one.